It is not everyday that one gets to meet a world champion of any kind. 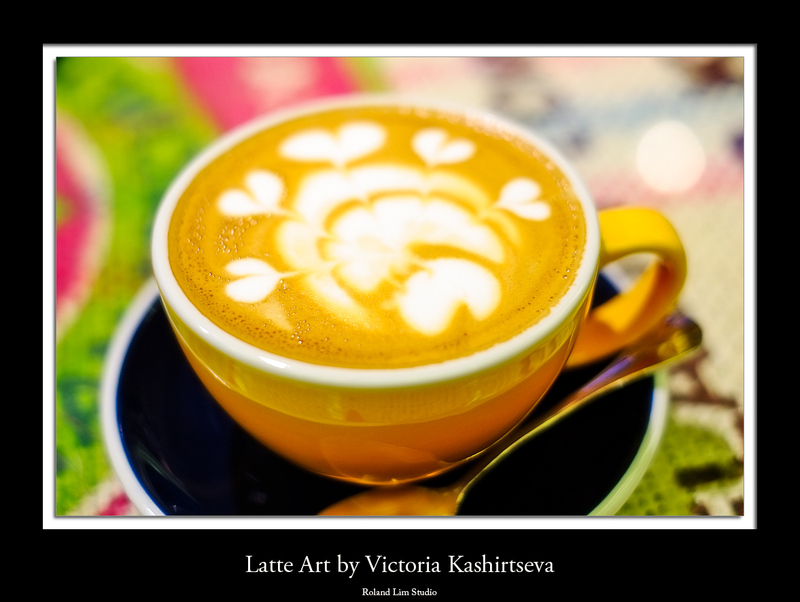 So it was with great excitement when I found out that the reigning latte art world champion, Victoria Kashirtseva was coming to Hong Kong as a guest barista in a cafe in Hong Kong for just one afternoon couple of weeks ago. Especially for a coffee lover, I had to find time to go. Like many things in life, even if you have talent, good teacher, hard work and lots of practice are always the formula for success. 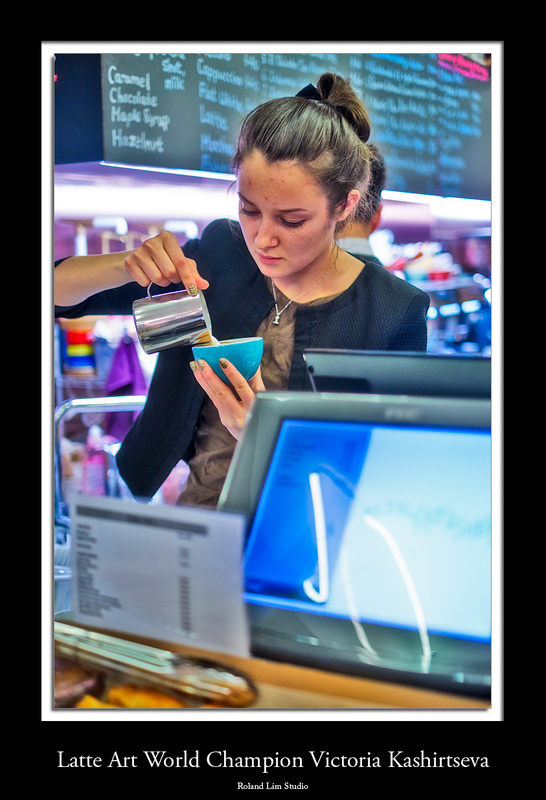 It was great to see Victoria’s performance in great latte art that afternoon. The latte art were great of course! 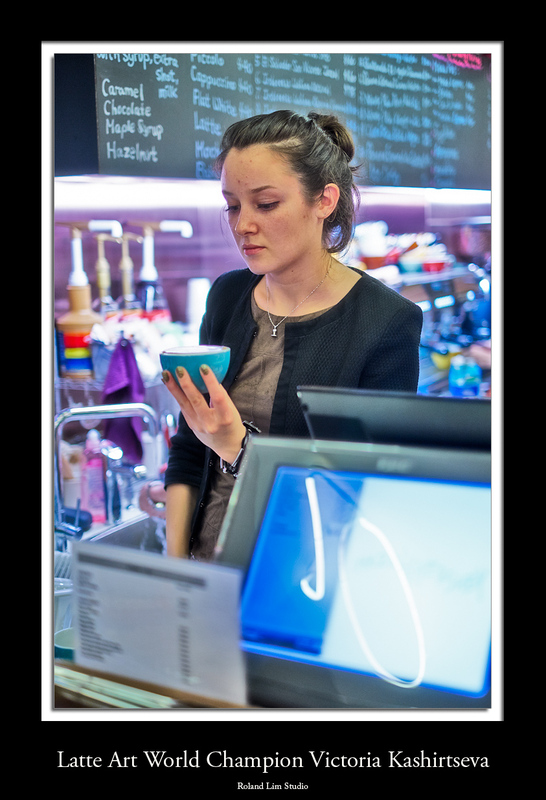 All the photos were shot in RAW with Fujifilm X-Pro1 with Fujinon XF 35mm f1.4 R. The RAW files were processed with Capture One Pro with further processing in Photoshop CS5 before final output to the web. 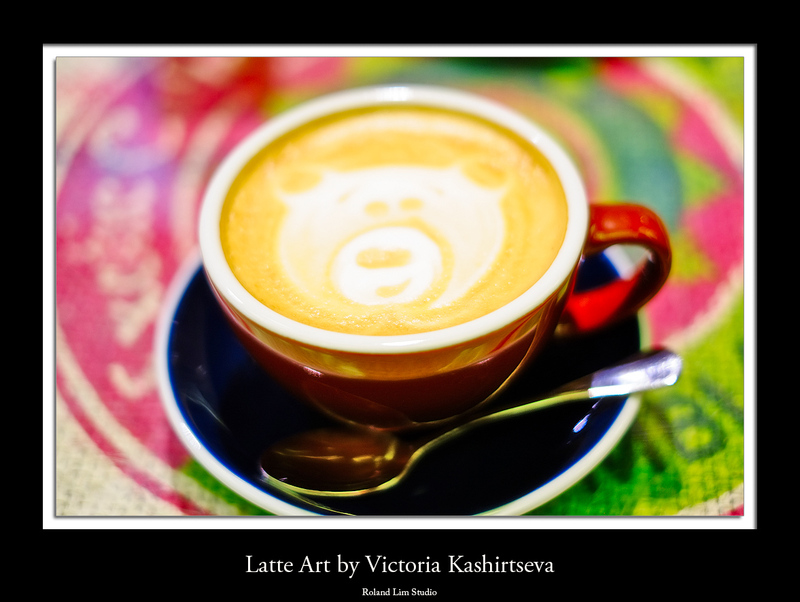 Hi Roland, since I’m coming to Hongkong in October, I’d like to know where Victoria is practising her Latte Art. 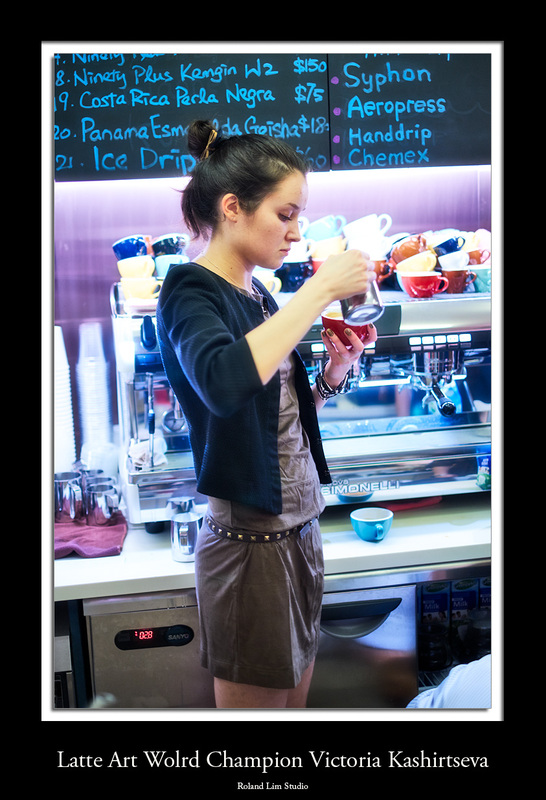 Victoria was only in Hong Kong as a guest barista for one afternoon. As far as I knoiw, she is still working in Russia. Latte art, great to see thanks for sharing. By the way how is your latte art progressing.